Tending my garden as a child, I needed my father’s guidance and strength even though I insisted that I knew what I was doing. From the position of a child’s pride, I was ashamed to ask for my father’s help, so I didn’t. What was the result? Thistles which stung and bloodied my hands, drought which sucked the life from the tender green shoots, a mass of mess adjacent to my father’s verdant, vibrant, fruitful garden. My father never said a mumbling word about my failure. In later years when we discussed it, he told me that he was simply waiting for me to realize that I needed his help. He was right there all along, working just feet away, experienced in turning, in guarding, in keeping his half acre. He was right there while I did my own thing. So it seems is God, the Creator of all, who is in all, and through all, and with all. So it is it seems as we hear one of the ancient accounts of creation which is not meant to be a scientific account or an explanation for the universe, but rather a poetic story/epic focusing on the who and the what of it all. The first divine words offered to humans about their relationships did not have to do with their relationship with God or with one another, but rather with their relationship to the created order — the sky, the waters, the dirt, and the creatures. The story of creation found in the first chapter of Genesis prods us to move away from the image of a vertical God that is lifted high above the earth, residing in some distant place. We are presented instead with the picture of an amazing world in a vast and amazing universe through which God’s blessing and goodness pervade. In this picture humankind is made full partner with God in the guarding and keeping of creation. Humankind is given dominion which is understood in terms of care-giving, nurturing and developing the created order in direct opposition to that which some dangerously misread and practice in exploitation and consumption. We are told that in the beginning God chose not to be the only one who exercises creative power. Rather, God entered into the human spirit, and in so doing, shared God’s power and wisdom in the tending of creation. God became the supreme delegator of responsibility as God declared upon the creation of humankind that we are charged to be fruitful in multiplying God’s good intentions for the created order. God’s blessing of calling it all “good” gives power, strength, and potentiality to those created in God’s image. Therefore, human beings are meant to relate as God relates, giving life in pure, unadulterated love as God loves. This understanding of God speaks of nearness not distance, of guidance not abandonment. Like my father toiling just steps away in the garden, there is no fence between God and humankind, no gap between us, nor void, no detachment unless we ourselves put up a fence, build a wall, dig a gap, seek a void, initiate detachment. Through my early dismal attempts at gardening, I began to pay attention to my father as he toiled in his garden. In the years that followed, I moved to working alongside him. I learned from him and consulted with him. When I moved away in marriage and had gardens of my own, I worked as he had so carefully taught me. So it is as we work side by side in the tending of our world and universe with God the Creator of all who is here with us now and always. Rev. 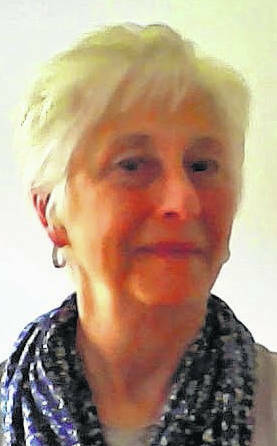 Valerie W. Stultz is a retired United Methodist Church minister who resides in Delaware.